When Wiona was four years old and I planned to breed her for the first time I was lucky that Kullatorp had the charismatic Monogramm-son Premier on lease. I drove down Wiona and Salaterka to Kullatorp and the result in 2006 was great. Wiona had a colt with great disposition and soon he was the favourite in the barn. Wiridan was gelded as a yearling and when he was 3 years old he was sold to Katarina Mattsson and her family. Premier´s dam Premiera is a daughter of the Race Horse of the Year and multi Champion Show Champion Piechur (Banat x Pierzeja) and she is out of the Polish National Champion Mare Premia (Palas x Pliszka). Premiera herself was the Polish National Junior Champion Mare as a yearling and 2004 Dutch National Senior Champion Mare, Elran Cup Senior Champion Mare and Senior Champion Mare in Mooslargue, France. Premier is known as the King of Attitude and he is an amazing liberty-horse that loves to show off when he has an audience. Premier has a wonderful bond with his previous owner Emma Maxwell and they have been very successful in the showring together; 2001 UK International Reserve Champion Stallion, 2002 World TT, 2005 Scandinavian Open Senior Champion Stallion, UK International Senior Bronze Champion Stallion and they even won a sportcar when he won 2004 Mercedes Cup Champion in Borgloon, at the same show that Premiera was the Senior Champion Mare. Wiridan´s dam Wiona is a daughter of the twice Polish National Reserve Champion Stallion Angor (Alegro x Angola). Angor died at young age and did not have many offspring during his three seasons at stud. He was bred by Janów Podlaski but he only served at Michalow Stud and several private Polish breeders used him. 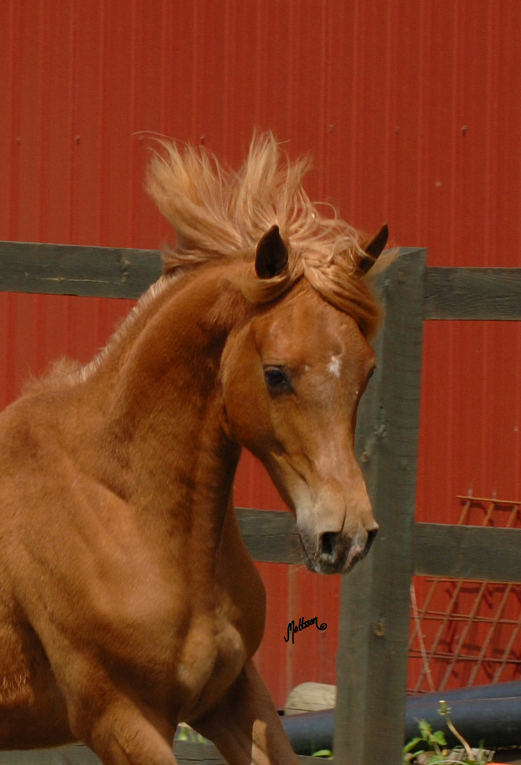 One of his best offspring is the colt Mango (out of Matura). Wiona´s dam Warszula was in foal to Angor when she was sold at the Polish Auction in 2000.